Install as usual via Mobileuncle tools, flashify (you need first root rights) or flashtool with original scatter of rom. i put the img to my sd card, via mobileuncletool I opened the recovery update but i cant see the img file ……..
nothink else , but again i cant see !!!!! i have this file in to sd card/download, is it correct ? No, put in the root of sdcard. 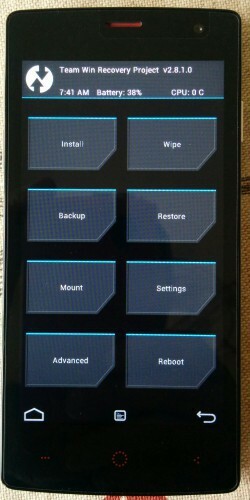 The TWRP 2.8.1,0 do not see the micro sd and the OTG usb. I can not mount the micro sd or OTG USB. byedaway thank you. hope it fix. my phone have problem after flash 4032 cant fix can do recovery?